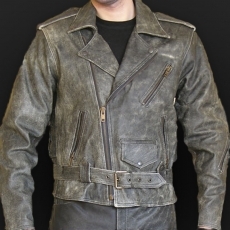 Men's impregnated cowhide rock-style jacket, thickness: 1.2-1.3 mm, main zipper – YKK, detachable warmer, perforated lining, pockets for pads on shoulders, elbows and the back. 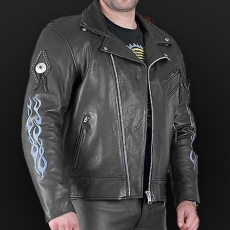 Men's impregnated cowhide rock-style jacket (old America style), thickness 1.2-1.3 mm, main zipper – YKK, detachable warmer, perforated lining, pockets for pads on shoulders, elbows and the back. 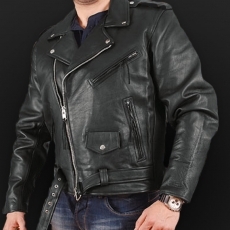 Men's impregnated cowhide jacket, thickness: 1.2-1.3 mm, main zipper – YKK, detachable warmer, perforated lining, pockets for pads on shoulders, elbows and the back. 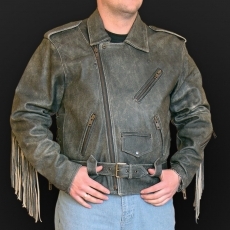 Men's fringed impregnated cowhide rock-style jacket, thickness: 1.2-1.3 mm, main zipper – YKK, detachable warmer, perforated lining, pockets for pads on shoulders, elbows and the back. 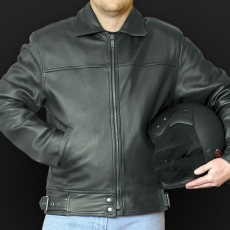 Men's impregnated cowhide jacket, thickness: 1.2-1.3 mm, main zipper – YKK, detachable warmer, perforated lining, pockets for pads on shoulders, elbows and the back, ventilation pocket system. 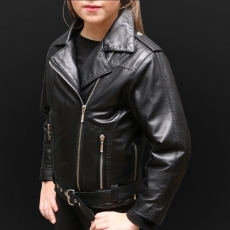 Colour Black . 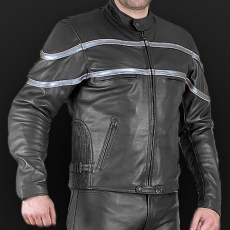 Men's impregnated cowhide jacket, thickness: 1.2-1.3 mm, main zipper – YKK, detachable warmer, perforated lining, pockets for pads on shoulders, elbows and the back, ventilation pocket system. 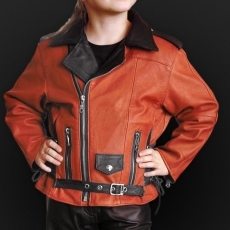 Colour Old America Red Brown . 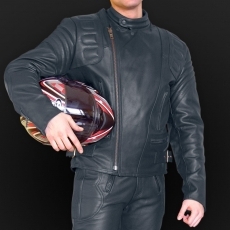 Men's impregnated cowhide jacket, thickness: 1.2-1.3 mm, main zipper – YKK, detachable warmer, perforated lining, pockets for pads on shoulders, elbows and the back, ventilation pocket system. 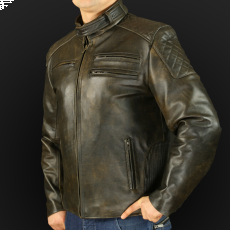 Colour Old America Olive Brown . 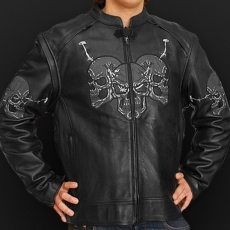 Men's impregnated cowhide jacket, thickness: 1.2-1.3 mm, main zipper – YKK, detachable warmer, perforated lining, pockets for pads. 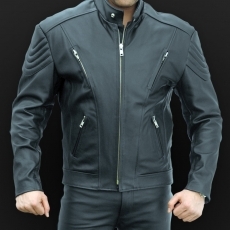 Men's impregnated cowhide jacket, thickness: 1.2-1.3 mm, main zipper – YKK, detachable warmer, perforated lining, pockets for pads on shoulders, elbows and the back, ventilation pocket system. 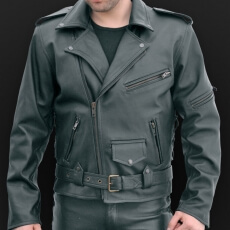 Men's impregnated cowhide jacket, thickness: 1.2-1.3 mm, main zipper - YKK, reflecting details in the front, in the back and on sleeves, detachable warmer, perforated lining, pockets for pads on shoulders, elbows and the back. 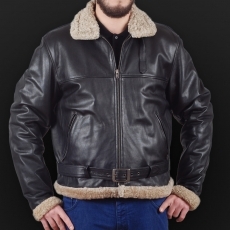 Men's impregnated cowhide jacket, thickness: 1.2-1.3 mm, detachable sleeves, embroidered reflecting details, perforated lining, detachable warmer, pockets for pads, ventilation pocket system, detachable sleeves. 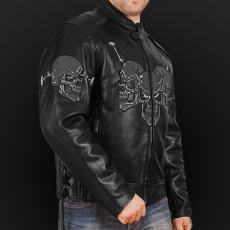 Men's cowhide jacket with fleece lining, main zipper - YKK, colour: black. 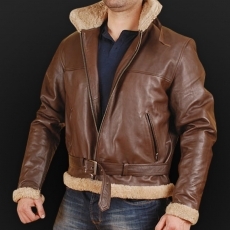 Men's cowhide jacket with fleece lining, main zipper - YKK, colour: brown. 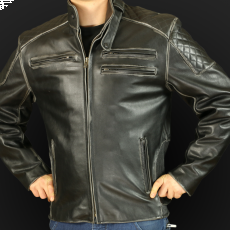 Men's impregnated cowhide jacket, thickness: 1.2-1.3 mm, embroideries on the sleeves, perforated lining, detachable warmer, pockets for pads. 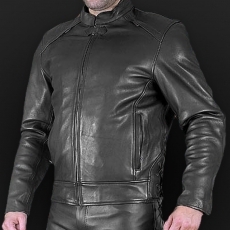 Men's impregnated cowhide jacket, thickness: 1.2-1.3 mm, perforated lining, detachable warmer, pockets for pads, reflecting tape 3M, ventilation pocket system, perforated leather inserts. 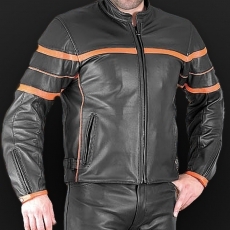 Men's impregnated cowhide jacket, thickness: 1.2-1.3 mm, coloured leather inserts, perforated lining, detachable warmer, pockets for pads, reflecting tape 3M, ventilation pocket system, perforated leather inserts. 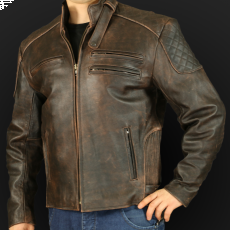 Men's impregnated cowhide jacket, thickness: 1.2-1.3 mm, perforated lining, detachable warmer, pockets for pads, coloured leather inserts. 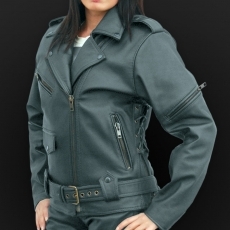 Women's impregnated cowhide rock-style jacket, thickness: 1.2-1.3 mm, main zipper – YKK, detachable warmer, perforated lining, pockets for pads on shoulders, elbows and the back. 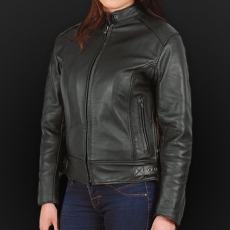 Women's impregnated cowhide jacket, thickness: 1.2-1.3 mm, main zipper – YKK, detachable warmer, perforated lining, pockets for pads on shoulders, elbows and the back. 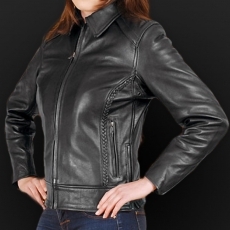 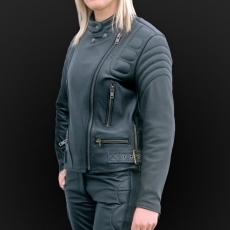 Women's impregnated cowhide leather jacket, perforated lining, detachable warmer, pockets for pads on shoulders, elbows and the back.